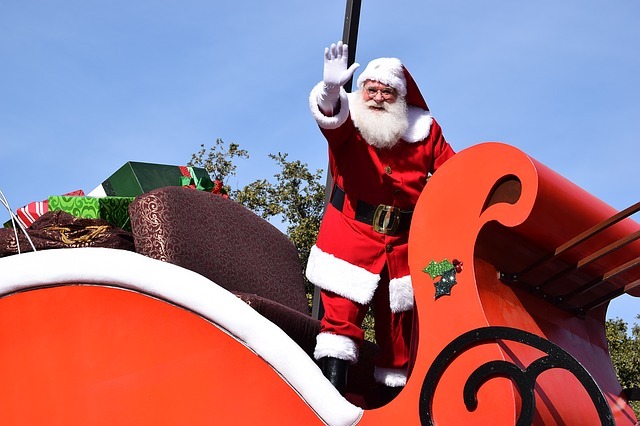 Downtown Bartow Christmas Parade – December 9, 6:00 p.m.
Christmas Notes at Homeland Heritage Park – December 10, 5:00 – 8:00 p.m.
Lake Wales Christmas in Toyland Parade – December 10, 6:00 – 8:00 p.m.
Davenport Winterfest – December 10, 5:00 – 9:00 p.m.
Mulberry Christmas Village and Parade – December 10, 6:00 – 10:00 p.m.
Additionally, don’t forget about the festivities happening at Legoland during their Bricktacular event! While you’re out enjoying the Christmas festivities, you have a great opportunity to support local businesses this year. Opt for local dining or enjoy a drink or two at one of our Lakeland or Winter Haven breweries or coffee shops while you soak in the holiday spirit that is sure to be felt throughout Polk County at this special time of year. Shop local for your Christmas gifts this season, and make the holidays special for not only everyone on your gift list, but for the business owners you buy from as well. After all, they are your neighbors! PHR Staffing Solutions supports local businesses by providing top-quality employees for local companies all year long. We have openings in multiple fields, and are trusted by countless employers to offer only the very best for their staffing needs. If you are looking for new, or better, employment this holiday season, give us a call or apply for one of our current positions here on our website. Celebrate the holidays with Polk County and PHR Staffing!